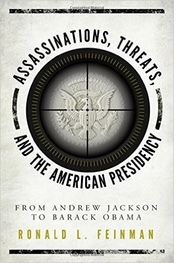 Three times in our history, after Presidents had won election to the White House, they were faced with the threat of being assassinated before they ever took the oath of office. If not for good fortune, all three Presidents might never have served, despite having been elected. It is hard to imagine American history without Abraham Lincoln, Franklin D. Roosevelt, and John F. Kennedy, who were ranked first, third, and sixth in the C Span Presidential ratings last compiled in 2009. Abraham Lincoln was the most threatened President in American history, at least until Barack Obama became President in 2009. Lincoln faced constant death threats, including one known as the “Baltimore Plot,” which could have led to disaster on February 23, 1861, just nine days before the inauguration on March 4. Baltimore, Maryland, just 40 miles from the nation’s capital, was a stronghold of support for slavery and hatred for the newly elected President, with strong secessionist elements, and a reputation as having thugs and rowdies who could be recruited to assassinate Lincoln before he ever took the Presidential oath. Allan Pinkerton and five assistants, including Kate Warne, the first woman detective, and Lincoln’s personal bodyguard, Ward Lamon, arranged to slip Lincoln through Baltimore before the original scheduled time, and before crowds, who expected him, had shown up at the train terminal. Lincoln successfully switched trains at a different rail station, where the crowds would not be present, and was ushered quickly onto the final train to the nation’s capital. In so doing, Lincoln was able to avoid the supposed plot headed by a Captain Cipriano Ferrandini, an immigrant from Corsica, who was perceived as a radical out to prevent Lincoln from ever reaching Washington, DC alive. Ferrandini was never arrested or indicted, but the evidence is strong of this “Baltimore Plot.” Lincoln suffered criticism and ridicule for having been unwilling to show up at the Baltimore railroad station, but looking back, the right action was taken, and Lincoln was safely ensconced in the Willard Hotel for the nine days left until his inauguration. One has to wonder how history would have changed had Lincoln been successfully assassinated, making Vice President-Elect Hannibal Hamlin President of the United States. Franklin D. Roosevelt was in Miami, Florida at Miami Bayfront Park, at a Democratic Party gathering on the evening of February 15, 1933, 17 days before his inauguration on March 4, when an Italian immigrant, Giuseppe Zangara, fired at Roosevelt, but missed. Fortunately, Zangara’s hand was knocked by another person in the crowd, Lillian Cross, and a few others grabbed his arm, preventing any more harm. But a total of five people were shot. Chicago Mayor Anton Cermak was mortally wounded by the assassin’s bullet and died two weeks later. There seemed to be evidence that Zangara, who had mental issues and blamed wealthy people and capitalism for his health problems, might have had plans to try and kill President Herbert Hoover earlier, as Zangara seemed to be a believer in anarchism and wished to eliminate all government leaders. America was saved from the tragedy of losing its President-Elect in the midst of a rapidly deteriorating economy in the months since Hoover was defeated and FDR was elected. Had Roosevelt died from this incident, the nation would have had Vice President-Elect John Nance Garner, a conservative Southerner from Texas, as its Chief Executive, a person who subsequently opposed much of the New Deal. On December 11, 1960, 40 days before the inauguration of John F. Kennedy on January 20, 1961, JFK was in Palm Beach, Florida at the Kennedy family estate, when 73 year old Richard Paul Pavlick, who had a prior history of pointing firearms at government officials in New Hampshire, and had railed against wealthy people and Catholics, showed up nearby with his automobile laden with dynamite, something that the Secret Service did not notice for a few days. Pavlick had noticed the President-Elect with his wife Jacqueline and daughter Caroline, and for some unknown reason, had decided not to blow up himself and the First Family that day, apparently out of desire not to harm the future First Lady and daughter. A few days later, the Secret Service finally noticed Pavlick loitering in the area of the Palm Beach estate, and after investigating arrested him. If not for Pavlick’s second thoughts on December 11, we might have lost JFK before he ever took the oath of office, and Lyndon B. Johnson would have become President nearly three years before he succeeded Kennedy, after he was assassinated in Dallas, Texas. 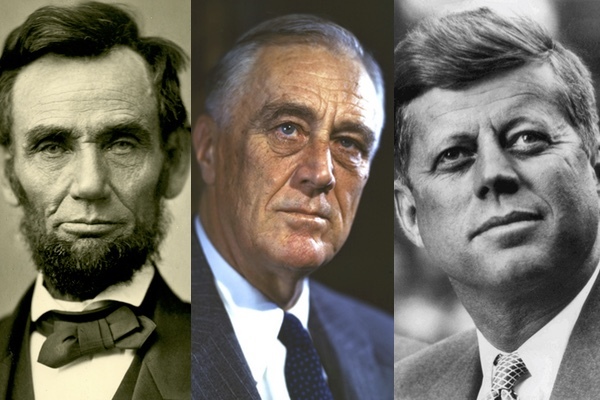 So, if not for good fortune, we might never had had three of our most famous and honored Presidents, who were crucial in the time of the Civil War, the Great Depression and World War II, and the crucial Cold War years of the early 1960s. With the election of a new President, Donald Trump, who has very high unfavorability ratings, the highest since public opinion polls were created, the danger of an assassination attempt cannot be discounted. Few presidents have riled up as many different groups as Trump. But let us hope for his safety and the sake of the country that no harm comes to him.